Hear KUAR's 4:04 p.m. newscast with details on the start of the legislative session. 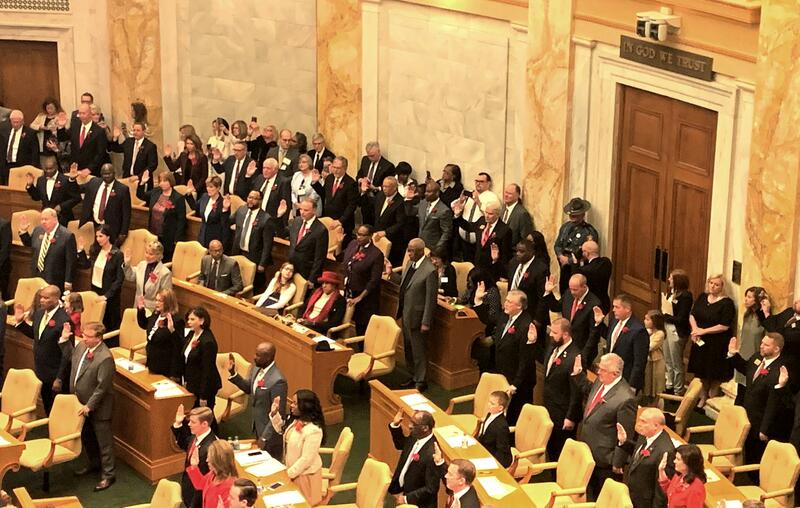 Members of the Arkansas House of Representatives take the oath of office Monday on the first day of the 92nd General Assembly. Afterward, Senate President Pro Tempore Jim Hendren spoke to his colleagues with a warning not to bring any further dishonors to the legislature. He noted a string of indictments and convictions in recent years for corruption-related charges. Five former legislators have been convicted or pleaded guilty in federal court and more cases are pending. Sen. President Pro Tempore Jim Hendren speaking to members Monday. "Our colleagues brought this on us all. So to any member, lobbyist, organization or business interest who is tempted to stray from the boundaries of ethical behavior, I ask you to realize that your actions bring discredit on us all and will simply not be tolerated any longer," Hendren said. Three days earlier a federal indictment was unsealed with former Sen. Gilbert Baker charged with conspiracy, bribery and wire fraud as part of a scheme that involved a judge lowering a jury damage award in a nursing home negligence case. Hendren (R-Gravette) said he expects ethics reform legislation to pass during this session and provide more transparency. He also challenged legislators to act in a way that restores faith in state government. "While we cannot change the events that occurred, we can learn from them and we can certainly control the events that happen from here forward," Hendren said. "Let us begin this session of the general assembly today with the determination that the culture of greed and corruption is over. We will not participate in it, we will not ignore it and we will not tolerate those who do." In the House, members unanimously voted to approve the House Speakership position for Rep. Matthew Shepherd (R-El Dorado). It’s his first term as Speaker after first being elected to the House in 2011. After taking his oath of office, Shepherd spoke on the importance of being a state representative, and not to confuse "political challenges" as waiting to present a bill to committee, with real world challenges their constituents face every day. 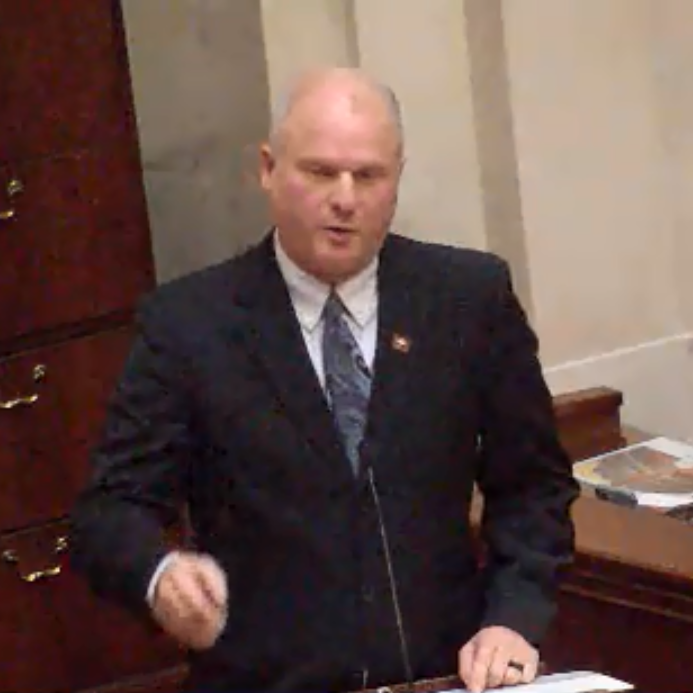 "As we sit here today on a very important day, many of those 30,000 Arkansans in your district and mine could not care less about the trappings of our offices or how we select our committees or who the chairpersons are," Shepherd said. "Ultimately all they care about is that they can live, work and otherwise enjoy the freedoms and liberties that Arkansans have enjoyed for generations. And they want to pass on those freedoms and liberties to their children." Shepherd announced the list of committee chairs and co-chairs for the legislature, giving a list of full committee assignments to lawmakers after session was adjourned. Over 35 bills were assigned to a committee. The House also approved by a voice vote a joint session Tuesday morning in the House that would declare election results, administer oaths of office to constitutional officers and hear a "state of the state" address from re-elected Gov. Asa Hutchinson. The House and Senate will begin the joint session at 10:30 a.m. in the House chamber. At 12 p.m. Hutchinson will give his inaugural address on the steps of the state Capitol.